Welcome to Driftopia.com. If this is your first time here, head over to the forums to get involved in the community. As some may have noticed the tech blog release cycle has slowed significantly the last few months. Suffice to say, there is a lot of new content on the horizon but I am very busy working on several big projects and I do not want to release anything until I am satisfied with the results. (It will be well worth the wait) But just to give you an idea, look for the unveiling of a full tube chassis 240sx mid 2009 as well as some major mechanical improvements along with a ridiculous power to weight ratio. And the site will also get a fresh new look over the next few months so in the meantime, head over to the forums where we are conversing daily! After a month long hiatus I am back. And if you want to see what’s kept me so busy look no further than the new project 240sx build journals. You can find the new index here: Project 240sx: Final Build Journal. Right now I am building Part 1: Chassis which covers the whole chassis build, including roll cage from start to finish. Then the suspension, engine, electronics and finishing touches section follow. And as you will see, project 240sx is turning into quite another machine. (Note: The old build journal has been renamed the development journal and can be found here. 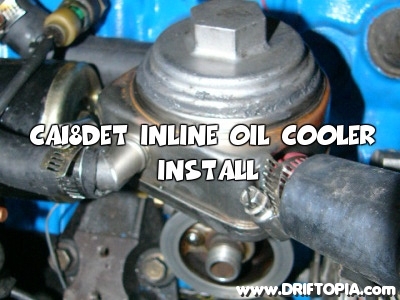 As promised, here is the update to the inline oil cooler install on the CA18DET that explains where to locate the cooler. Part 4: Electronics of project MR2 Spyder is now online. Check back for the companion install guide as I prepare several gauge solutions to begin monitoring engine changes. A new entry in the 240sx Overhaul Journal is available. 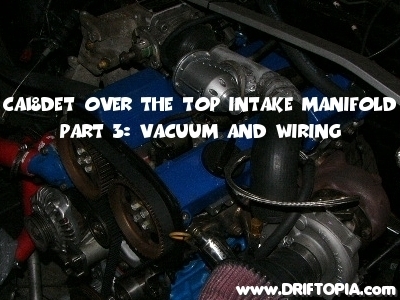 Part 2 of the over the top intake manifold install on the CA18DET is now online. (CA18DET Over the Top (CA16DE) Intake Manifold (Part 2)) And it looks like this has grown from a 2 part series to 3 so check back for the custom charge pipe install, line routing and throttle cable bracket fabrication. 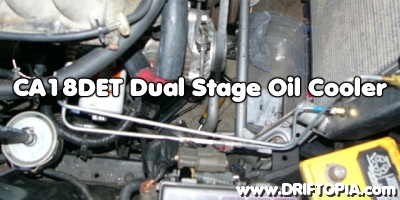 Part 1 of the CA18DET over the top intake manifold install is now available. (CA18DET Over the Top (CA16DE) Intake Manifold Install (Part 1)) It goes into a lot more detail and discusses some of the pros this system will have over the factory hardware.